Olasanmokun is a worldly actor, fluent in French and Portugese and a master in jiujitsu. His IMDB page shows that he is going to be in four episodes of The Defenders, and shows his character’s name. However, IMDB pages are frequently inaccurate, and even though this entry is very specific, it wouldn’t be enough to claim that the actor is a part of the show. That is, until we look more closely at some set pictures that have leaked, and see him literally in the middle of things. 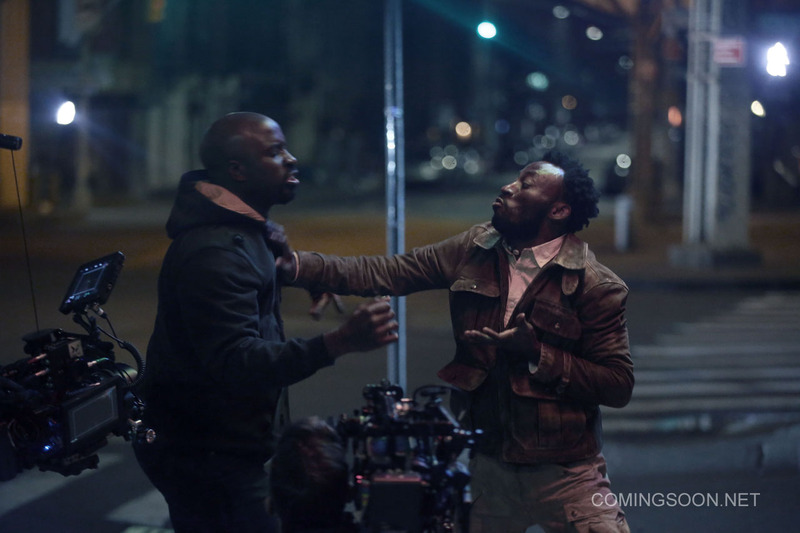 In fact, Olusanmokum and Mike Colter were caught in the middle of an altercation, confirming that they are on opposite sides in this battle. As if this wasn’t confirmation enough, Olusanmokun himself has posted on Instagram that he is working on something on Netflix. Like Weaver’s character, we only have one name for the role that Olasanmokun will play: Sowande. This appears to be a Nigerian name. One location that immediately came to mind, here at the MCU Exchange, when we started thinking about Nigerian antagonists, were the Swamps of Ogun. This mystical location, from ‘Uncanny Avengers,’ would fit well in the more mystical tone toward which Daredevil and the upcoming Iron Fist appear to be headed. We will have to wait to find out the true nature of his character, but from Olasanmokun’s background, it looks like Marvel has cast a worthy adversary to be working with Weaver’s Alexandra. What do you think of this addition to the cast? Let us know, in the comments.